The latest campus-by-campus survey of student debt across the UW System found that 2011-12 graduates of UW-Milwaukee owed the most. The average debt of UW-Milwaukee graduates was $24,158, according to the report given the System’s Board of Regents. That was 19% higher than the average debt — $20,237 – for graduates at 13 UW System schools that year. And the debt disparity between graduates from different UW campuses was striking: UW-Milwaukee graduates were 53% more in debt than those graduating from UW-Madison, who each owed an average of $15,753. *72% of 2011-12 graduates borrowed – up significantly from 62% in 2002-03. 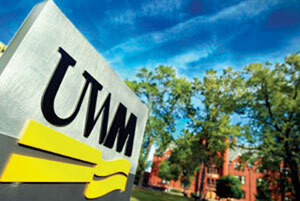 *UW-Madison had the lowest percentage of graduates with debts, 60%; UW-Superior had the highest, 87%. Why did UW-Milwaukee graduates rank first? In a recent interview with WisconsinEye, UW-Milwaukee Chancellor Mike Lovell said its students are “two to three years older” than those on traditional college campuses. Many are married with young families. Lovell also said UW-Milwaukee students come from families with household incomes averaging about $55,000 – about half of the $100,000 average household income of UW-Madison students. “Look at the socio-economic status of our students,” Lovell said. Madison gets more than $1 billion a year for research grants. It has patent and other revenues through the Wisconsin Alumni Research Foundation. And, UW-Madison is paid millions by networks that cover its football and basketball teams. Another UW-Milwaukee disadvantage is that 51% of its new students this semester required remedial English or math courses. Democratic Sen. Nikiya Harris, of Milwaukee, graduated from UW-Milwaukee in 2001. She estimates it will take 10 more years to pay off her loans. It didn’t surprise Harris that her fellow alumni had the most debt of all UW System graduates. “UW-Milwaukee also leads the system in the percentage of minority and first-generation college students at our campus,” Harris said. Harris said the next UW System president must be aware of the unique needs of UW-Milwaukee students. Democratic Rep. JoCasta Zamarippa, also of Milwaukee, said she had to borrow as much as she could to graduate from UW-Milwaukee. She hopes to have her loans paid off in about eight years, by her 45th birthday. Although Zamarippa had earned college credits in English when she entered UW-Milwaukee, she had to take a remedial math class to continue taking college classes. And, “You had to pay” for that remedial class, Zamarippa noted. Zamarippa and Harris praised the bill – the Higher Ed, Lower Debt Act – by two Democrats, Sen. Dave Hansen and Rep. Cory Mason, that would create a new state tax deduction for payments on student loans. Wisconsin allows a tax deduction for college tuition. For someone with $20,000 in college debt – the average for UW System graduates in 2011-12 – the tax break would range from $125 to $389 a year, the Legislative Fiscal Bureau estimated. No estimate of what the tax break would cost was requested, however. A “proud” UW-Milwaukee graduate, Republican Rep. David Craig said he hadn’t studied the debt issue. “I am puzzled as to why UW System schools would ignore our current labor demands and offer programs like dance, art history, gender and ethnic studies, folklore, music literature and lesbian, gay, bisexual, and transgender studies. Milwaukee, $24,158; Superior, $23,705; Stout, $23,440; Oshkosh, $21,850; Whitewater, $21,222; Parkside, $20,943; Stevens Point, $20,866; Platteville, $19,979; River Falls, $19,635; La Crosse, $19,249; Green Bay, $18,856; Eau Claire, $17,814, and Madison, $15,753. Are these only loans as undergraduates, or do the data also include loans as graduate students? The former, I presume — or the data do not include UW-Madison medical school and law school grads — but it would be good to know to better understand this. As for Daniel Craig’s question as to why the particular UWM humanities courses he mentioned are offered, they are primarily to help people become somewhat less closed minded and unenlightened than he is. Which shouldn’t be too hard. The issue being ignored is that at a time when tuition is at record highs, segregated university fees (SUF), which students pay in addition to tuition, are also soaring; and students are having less and less voice in those fees and the future of their Universities. UWM is the perfect example, where Student Affairs officials like Vice Chancellor for Student Affairs Michael Laliberte don’t create and perpetuate an environment and climate that is anti-student and anti-shared governance. I actually think 24k is pretty good for student debt coming out of school… especially at university like UWM where the average student comes from a family of lower income, tends to take longer to graduate, and is in a large metro where the cost of living is higher. If anything, I think this demonstrates the advantage of going to any of the listed public universities over going to a private institution which costs far more. $24,000 is not that much… many college graduates go out right after school and get a car loan for a comparable amount anyway. I think their degree is a much better investment. Regarding Craig’s comments… I think even most conservatives, republicans, or anyone right of center would agree that his comments are ridiculous. *** UWM Vice Chancellor for Student Affairs Michael Laliberte creates and perpetuates an environment and climate that is anti-student and anti-shared governance. @Dave Reid Currently there is no legitimate student government to participate in shared governance at UWM, due the the UWM Administration (led by Vice Chancellor for Student Affairs Michael Laliberte) illegally invalidating the Student Association elections. So there is no recognized student voice in shared governance, and most students at-large have little knowledge of segregated fees, and I’m sure the Administration would like to keep it that way. The current goal of the Administration is to turn as many categories as they can from allocable segregated fees to non-allocable segregated fees. The Child Care Center has already changed and the unsustainable Athletics budget is next. Segregated fees are fees that all students at a respective Institution pay for student services in addition to tuition. Under F50 (http://www.uwsa.edu/fadmin/fppp/fppp50.htm) Allocable SUF are seg fees “that are allocated by students, in consultation with the chancellor”. Non-Allocable SUF are seg fees that “chancellors, following consultation with students in accordance with Regent Policy 30-5, as amended, are responsible for the development of budgets and expenditures of non-allocable SUF.” So as you can see, Administration has a vested interest in SUF being non-allocable as they unilaterally set them. I served on the Senate Finance Committee (SFC), the official segregated university fee advisory committee (SUFAC) at UWM last year. I voted against the parking subsidy allocation (Northwest Quadrant and Klotsche Pavillion) in committee because the Department of Parking and Transit Director Nelson Ogbuagu wouldn’t give us any solid answers or sign any contractual obligations. The fear was that students were putting in so much money (including to pay completely for the renovation of the NWQ parking structure) and there was no certainty that the Department of Parking and Transit wouldn’t just break the agreement and put in meters or even tear the structure down. As much as I’m sure the small percentage of students that are able to use the structure appreciate it, the percentage using it doesn’t justify the major cost to all students in segregated fees, because subsidizing parking that only a fraction of students can use only bandages a symptom of the larger issue of parking in the UWM campus area. I agree that there should be a push to bring students into the larger UWM and Milwaukee communities, to have them live on or around campus, but that’s a long term solution that will take years to bring to fruition and most likely won’t solve all of the parking problems anyway. Other ideas that have been floated are tearing down the Northwest Quadrant parking structure and commissioning a student-driven project to create a structure with more parking capacity (and won’t require extensive maintenance and renovation constantly like the current unsustainable structure will, all on the backs of the students). But I can’t see the Administration letting the students take a lead in a project that, in the Administration’s eyes, could generate a lot of revenue if it was replaced with a structure that had metered parking. Parking is undeniably a student interest at UWM, but Administration is unwilling to let anyone but themselves take the lead or have a voice. We can look towards the failed and indefinitely stalled new UWM Student Union project as a comparison. The Student Union, being a ‘student life, service and interest’ per WI Stat. 36.09(5) [http://docs.legis.wisconsin.gov/statutes/statutes/36/09/5] and 30-3 [http://www.uwsa.edu/bor/policies/rpd/rpd30-3.htm] needs to have a preponderance of students involved in the building process, start to finish. But the UWM Administration would not allow that. Even after the Student Association Senate passed a collaborate model for the building process (https://drive.google.com/file/d/0BzQ70YxjHNcmSWdjcnlzTldVd2c/edit?usp=sharing), the students were ignored and not given a seat at the table. So the Student Association Senate was forced to pass a stand against the New Student Union: “We take a formal stance against the building of a new Student Union specifically due to the negative shared governance climate and the inability to have a collaborative student-driven student union building project at this time. If the shared governance climate were to improve, the Student Association would be in support of a new Student Union.” Effectively halting the project. Do I want a new UWM Student Union? Yes. Do I think students deserve a new Student Union? Yes. But the climate isn’t right at UWM for the students rights and interests to be observed in any major project. I know I didn’t propose many ideas as solutions to parking at UWM, but the issue is if the UWM Administration isn’t going to work collaboratively with all shared governance groups that have in interest in parking at UWM, then a solution will never be found. The University will continue to use half-baked bandages that don’t solve the issues; all-the-while charging students segregated fees to subsidize the structure that they now barely have any voice in, segregated fees that pad the pockets of the Department of Parking and Transit and other University officials. Ask Parking and Transit Director Ogbuagu where the salaries are listed in the budget he proposed to the SUFAC body last year, they were hidden in ‘maintenance’ spread across all of the Parking and Transit allocations. My point is, there is no solution in the current anti-student climate at UWM at this time; and subsidizing parking as they are currently is not the answer. Taylor Q Scott, you may or may not have a valid point… I mean, look at how much non-bus riders must pay to support the student bus pass program… or how much money goes towards the LGBT resource center for people who don’t care about or find moral issues with the LGBT community (I’m not saying I’m one of them, just using it as an example). Those are valid points to make that people pay for things that they don’t use, and should have a say in whether they should pay them or not. However, regardless of how comparatively large these fees are compared to other universities, I doubt they are different enough in context of how much higher student debt is at UWM vs other State universities to really matter. @Andy I understand the point you’re trying to make, but the current student subsidization of parking at UWM isn’t sustainable and just allows the powers-that-be time to ignore the larger issue of parking in the campus area. And to compare parking to a service like the LGBT resource center would be misleading. If you look at the total amount students pay for parking/transit at UWM each semester, it adds up to $91.70 for a full time student (http://www4.uwm.edu/bfs/depts/bursar/tuition/fall13seg.cfm). $25.60 of that being the unsustainable Northwest Quadrant parking structure, which has an uncertain future all-the-while placing the financial burden on the backs of the students . Now lets compare the $91.70 of parking and transit to the $4.25 the LGBT resource center recieves (https://drive.google.com/file/d/0BzQ70YxjHNcmMkN6RHUtaG1mSk0/edit?usp=sharing). Now I understand the point you’re trying to make about the amount of students using the service and that students as a collective should pay for services of things deemed necessary for the student body, but there is no way to rationalize the students even paying the $32.10 (Northwest Quadrant and Pavillion) when so few students can use the services. The amount of spaces would allow somewhere between 1-2% of all UWM students to park in the structures that 100% of students are paying for. The difference also between Parking and Transit and the Office of Student Life (which contains services/centers like the LGBT resource center) is that in front of every service/resource center is a sign stating the service is paid through segregated fees funded through the Student Association. The problem is Parking and Transit is more than happy to hang banners and post twitter statuses about “free” parking (https://twitter.com/uwmparking/statuses/387544415171932160). Not only is the program of subsidized parking as it is at UWM unsustainable, but most students don’t know they’re paying towards it, while the Department of Parking and Transit advertises “free” parking, all of which creates a fiscally irresponsible vicious cycle of un-accountability. Yep, that’s what they mean by “There’s no such thing as a free lunch.” Someone is always paying for whatever is being billed as “free.” Unfortunately I’m still not swayed that these concerns about the parking are that great in the larger scheme. I assure you, when looking at the bigger picture of the UW system and the lack of control by those serving and those served by the system and how money is controlled…. you’d be far more upset. But that’s probably a discussion for another time.